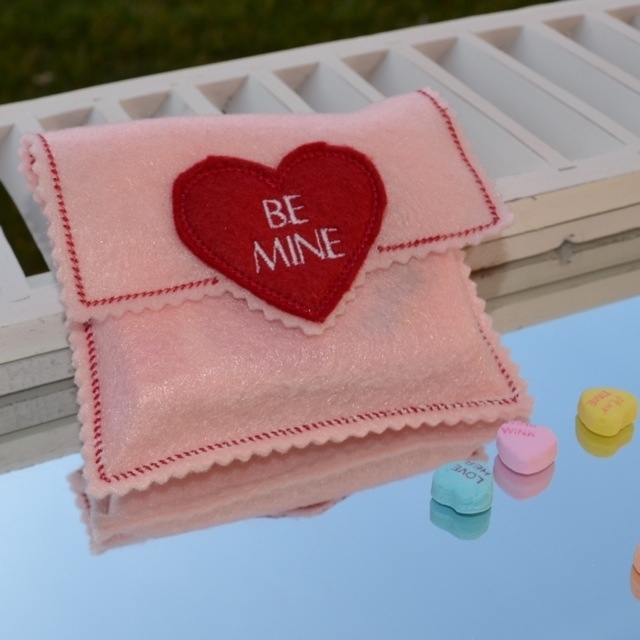 Stitch up our fun and easy Candy Heart Envelopes to make adorable Valentine's Day gifts! These cute envelopes are perfectly sized to fit a box of conversation hearts, but you can fill them with any candy you'd like. Design set includes the following phrases: Be Mine, BFF, LOL, Friends Rock, S.W.A.K., Sweet Talk, Tweet Me, U R Sweet. you can fill them with any candy you'd like. Design set includes the following phrases: Be Mine, BFF, LOL, Friends Rock, S.W.A.K., Sweet Talk, Tweet Me, U R Sweet. Finish Size 4.42" x 6.88"